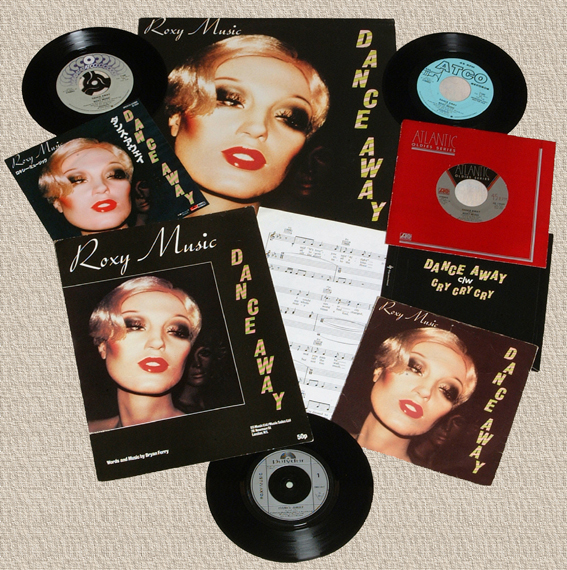 Lyrics to the song Dance Away as recorded by Roxy Music. I said "it's love" you said "alright"
This song began it's life during the In Your Mind sessions and was drafted for the Bride Stripped Bare album but wasn't finished until Roxy Music's Manifesto album. This was a huge hit for Roxy, reaching number 2 in the UK charts in 1979. The original version on the picture disc of the album was replaced by a remix version for the general album release. The original version was eventually released on CD on The Thrill Of It All box set in 1995. The song was given an extended mix which was released in Canada as a 12" single. This too was first released on CD on The Thrill Of It All box set. The single was backed with Cry Cry Cry in UK and Europe and featured Trash 2 on the flip side in USA & Japan. Natalie Dawn has recorded a version of Dance Away.